Today I have a trio of shaker cards to share, created with lots of Simon Says Stamp goodies, and a selection of my Shaker Selections. 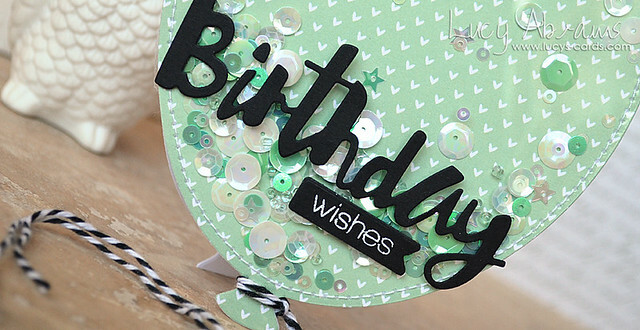 Shaker cards make great birthday cards - they are fun, noisy and definitely celebratory! 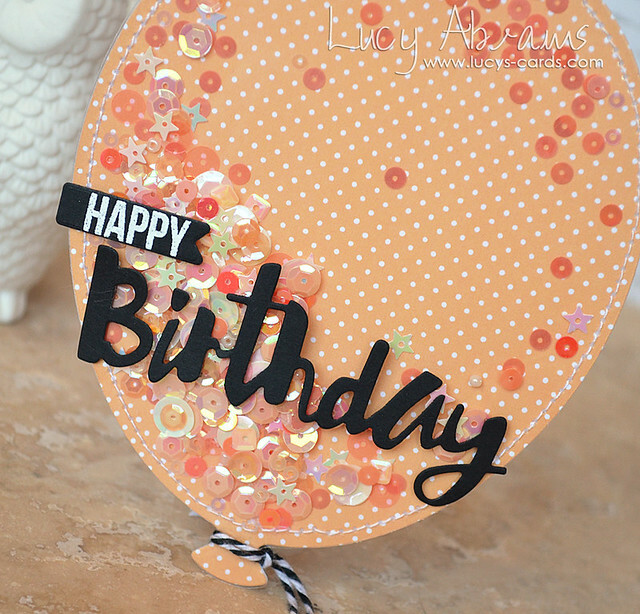 To make each card, I first die cut two large Balloons from white card, one from acetate and one from Lawn Fawn's Let's Polka Mon Amie patterned paper. I adhered the patterned paper balloon to one of the white balloons, then stitched the acetate balloon on top, leaving an opening. I filled with sequins - for these ones I used Ruby Grapefruit, Purely Peppermint, and my newest colour Princess (on its way to Simon Says Stamp as I type) - then stitched up the top. 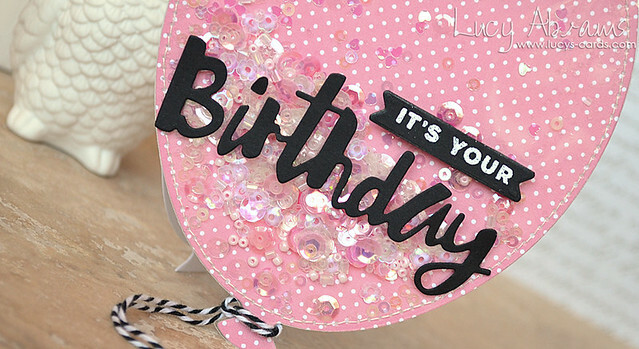 I die cut the Painted Happy Birthday from black card, then added various stamped sentiments to complete the message. I finished with some black and white twine. 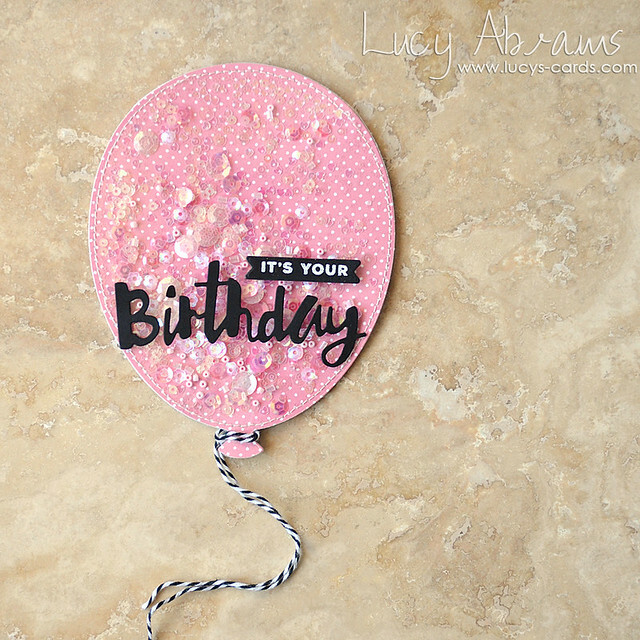 To make the card stand up, I die cut a second balloon, scored it along the left hand side, then trimmed the bottom slightly to give it a straight edge. I added adhesive to the scored edge and stuck it to the back of the shaker balloon. 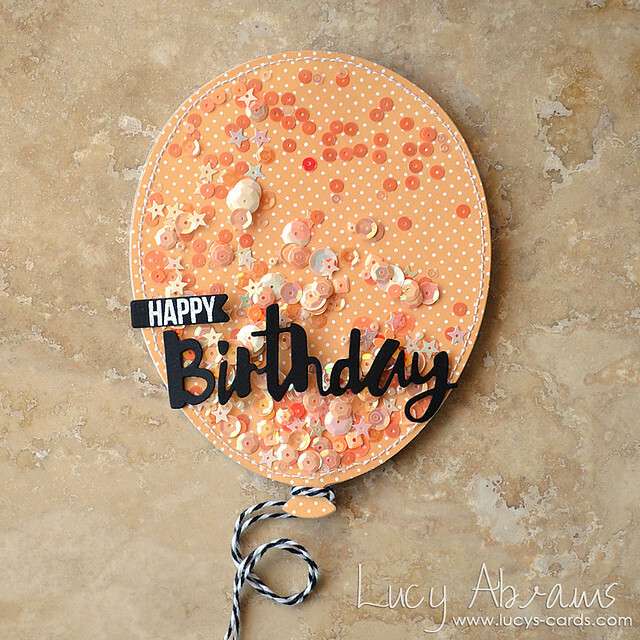 This one's Ruby Grapefruit, along with a stamped sentiment from Simon's Christmas set. Here's Princess, with a message from Big Birthday Wishes. And finally, the Purely Peppermint version. Thanks so much for visiting - I hope you have a wonderful weekend. What a fun design! Purely Peppermint is my favorite. These are awesome! 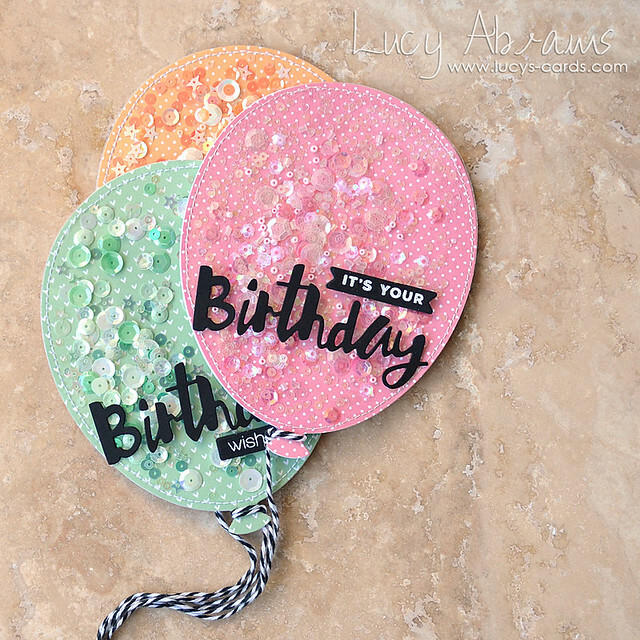 Love how the color of the sequins match the paper so closely! Who wouldn't love to receive one of these?! These cards are amazing!! So festive and happy!! I love them. SOLD! What a perfect idea for a birthday card. Love them - the black looks great on the sorbet colours. ...shaker anything is awesome, but your balloons just go over the top in fun, cute and clever! 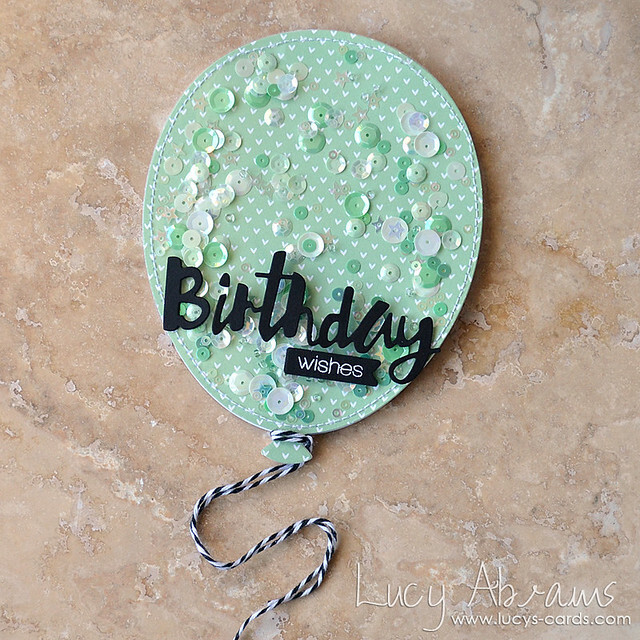 I love love love these balloon shaker cards. I recently pulled out my sewing machine and now I know what I'm going to be doing with it. Thanks for the creative and colorful inspiration. These are absolutely adorable, Lucy, and it's hard to pick a favorite color. I love them all. If someone put a gun to my head and said "choose a favorite", I would quickly spout out the word "pink" though. What puzzles me is that you leave an opening to insert the sequins. Got it. Yet, you can't tell where you went back in and closed it up afterwards. It looks seamless to me. I hope you don't mind me pinning and case-ing this card. SO CUTE!